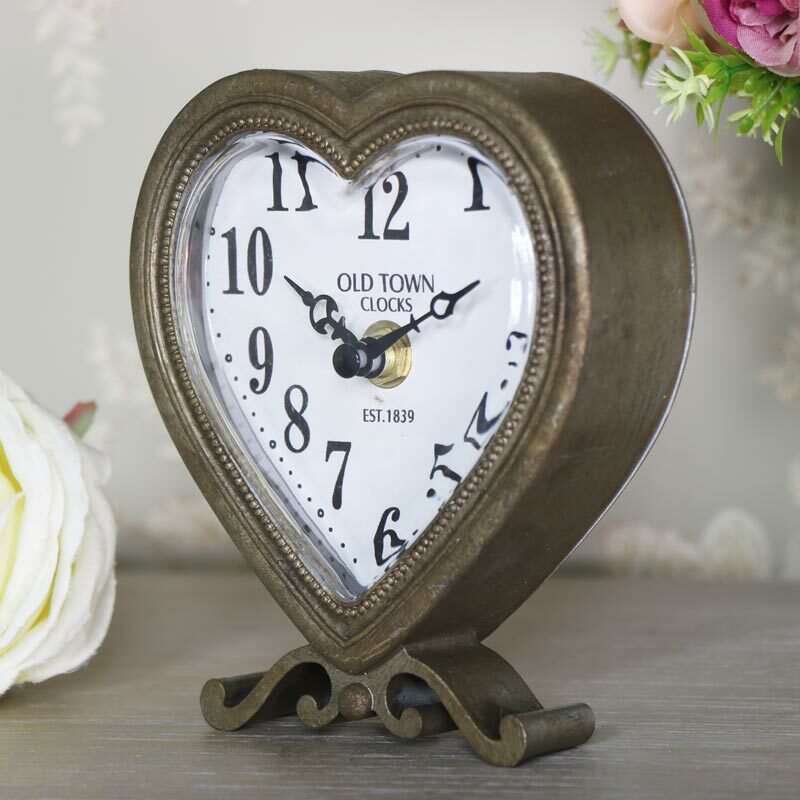 Keep yourself on time with this gorgeous mantel clock. 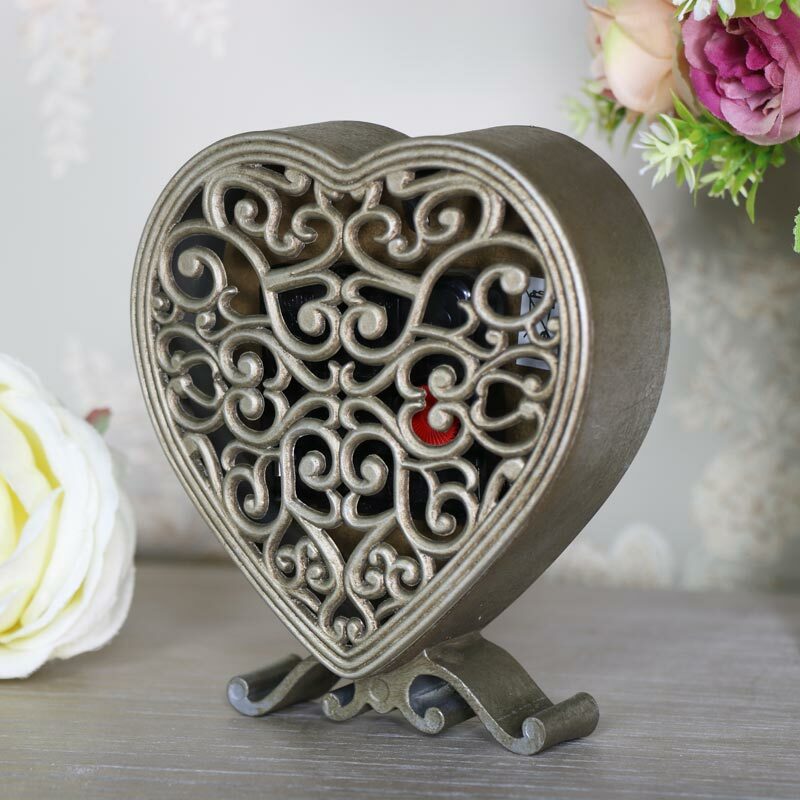 Delightfully vintage style in a heart shape with scrolled feet. Great for adding some shabby chic elegance to your living room or bedroom. Pretty heart shape design with beaded detailing surrounding the frame. White clock face with bold numbers that are so easy to read. Such a cute design, perfect for a bedside or mantelpiece and a great gift idea. 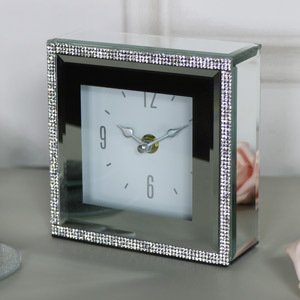 Keep yourself on time with this gorgeous mantel clock. Delightfully vintage style in a heart shape with scrolled feet. Great for adding some shabby chic elegance to your living room or bedroom. Pretty heart shape design with beaded detailing surrounding the frame. White clock face with bold numbers that are so easy to read. Such a cute design, perfect for a bedside or mantelpiece and a great gift idea. Metal frame in a distressed pewter finish. Takes x1 AA battery (not included). 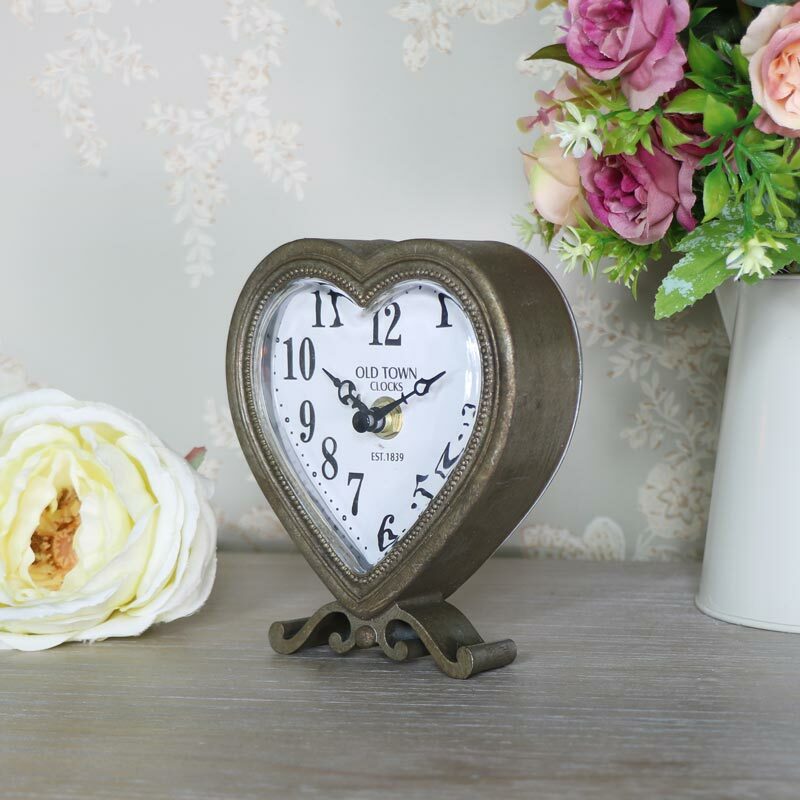 Part of our fantastic range of gifts and accessories with a wide choice of mantel clocks and wall clocks in an array of designs, colours and finishes.